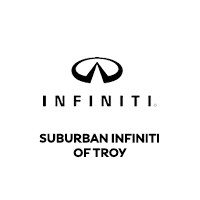 I had a great experience at Suburban INFINITI and Emery was very professional and thorough while walking me through the acquisition process. Jeff provided me with exceptional service. He is very knowledgeable and helped me understand the issues with my vehicle. Good service. However was discouraged from using shuttle to go to the mall while my car was serviced. Instead asked to wait. Was given a coupon for free beverage. Waiting room sucked. Comfy chairs free WiFi but all male centric magazines- GQ, Men’s Journal. Common Suburban INFINITI do you not care about women or don’t think they bring cars for service. How about adding some gender neutral magazines like Time, Fortune etc? Overall experience was just OK though I gave 4 stars. Not a luxury dealership experience.